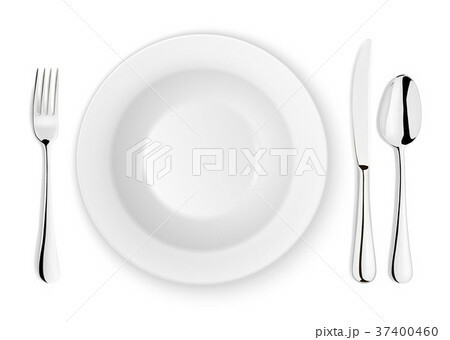 Realistic vector spoon, fork, knife and dish plate closeup isolated on white background. Design template or mock up. Top view.